First Impression Consulting Pvt. 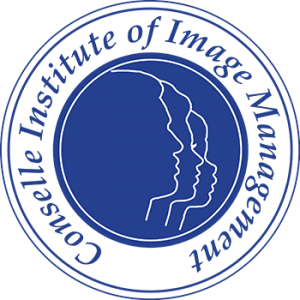 Ltd. headed by Rakesh Agarwal and Suman Agarwal in Mumbai (Bombay), India, has aligned with the Judith Rasband Institute of Image Management, for the purpose of introducing image consulting education and services throughout India. In 2009 Agarwal investigated image consulting trainers throughout America, Canada, Australia, and England. Ultimately, he selected Rasband’s Institute as having the finest image education curriculum and facility available worldwide. After considerable correspondence with Rasband, Agarwal traveled to Utah in December 2009. He and the lovely Suman, arrived bearing gifts, as is the custom, for the purpose of meeting Rasband and to see for himself if she was all he had supposed. He wasn’t disappointed. Agarwal, an engineering and business management graduate of Boston University, who following his return to India pioneered the car rentals business by launching Hertz Rent-a-Car (1985), the telephone information 24×7 service Ask Me (1989), a packaged sales training program called WISE (Winning in Sales Every Time 1996), and served as managing director of the Frankfinn Institute of Airhostess Training (2004-2009), before establishing the Image Consulting Business Institute (IBCI), a division of First Impression Consulting Pvt. Ltd. in 2009. At the conclusion of three days of presentation and discussion at Conselle’s Learning Center, the two signed agreements granting Agarwal the use of Conselle’s extensive curriculum materials—Rasband’s intellectual property. Their agreement includes ongoing advisement from Rasband and joint cooperation regarding curriculum transition and development as well as image-related events to take place in India. Agarwal proposes that Rasband travel to India at least twice a year for these events. 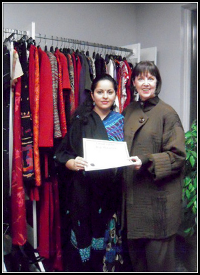 Agarwal has also facilitated a non-profit professional body, the Image Consultant’s Society International, which will educate, facilitate, integrate, and regulate the industry in the Indian Subcontinent and the Middle East. Conselle will function as the agent of certification for ICSI members. Rasband has been appointed as Chairman of the Advisory Board, selecting Board members Susan Bigsby from Florida, Deborah King from Texas, Diana Jennings from California, Lora Beth Brown from Utah, and Deborah Gray and John Kerr from England. Other Board members include eminent business and philanthropic professionals from India.